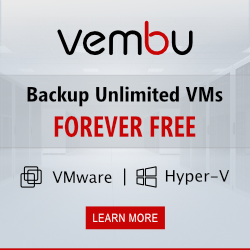 Vembu 3.9.0 – What’s New? 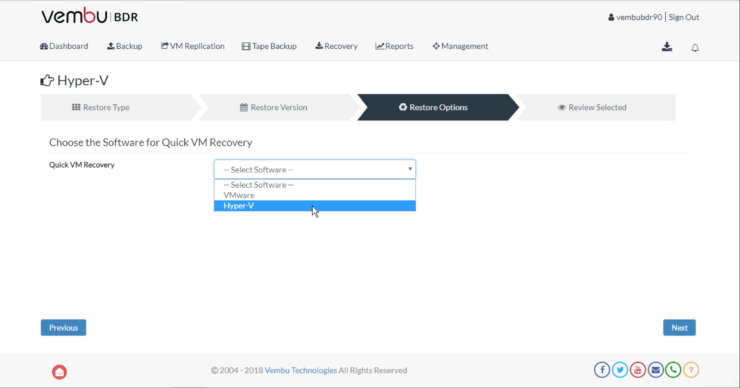 Backup-level Encryption – This feature allows the encryption of backup data between the client and backup server. Each backup jobs is secured with a password and can only be restored or accessed by using the password. 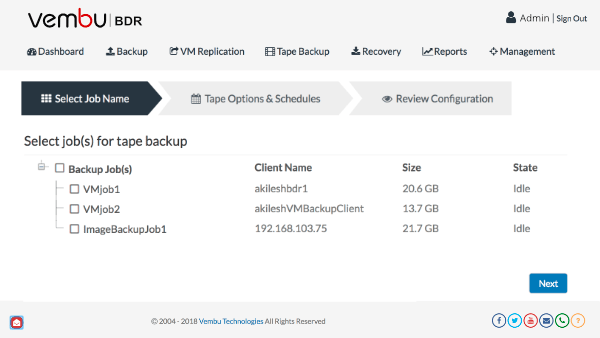 Pre-post Backup Scripts – Some times there is the need to run a script before or after a backup job to enable applications to be in a consistent state ready for backups. 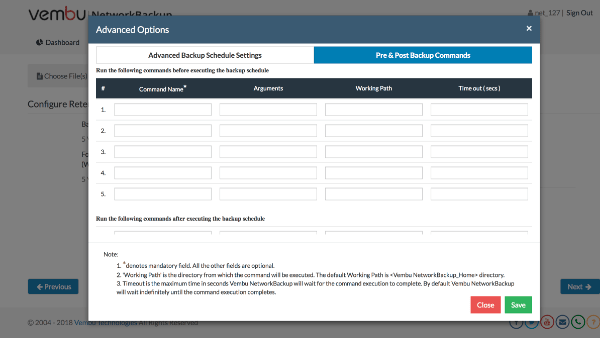 These scripts can now be added directly into the backup job . This simplifies the process by creating one place for all necessary configuration of a backup job.